If you’re considering a renovation, it’s best to understand the different interior design styles so you can narrow your search terms and better communicate with your interior designer. 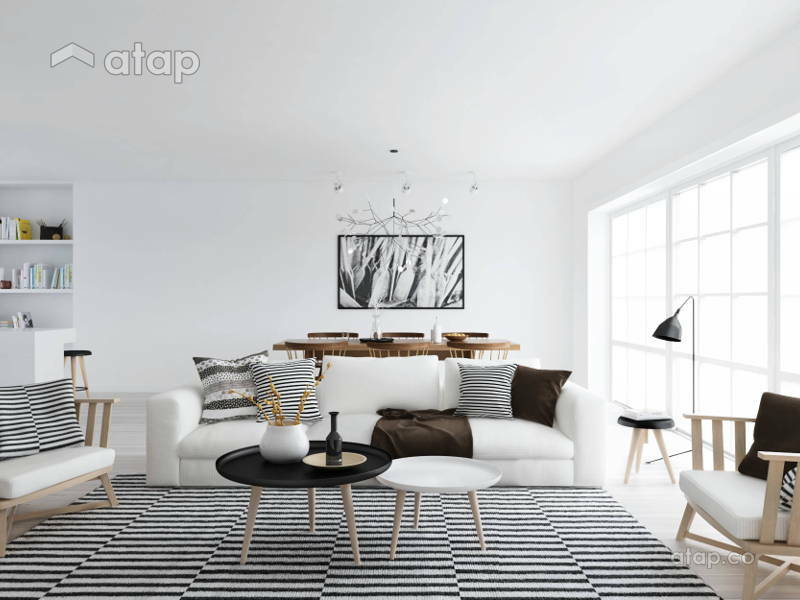 You’ve probably come across different terms like farmhouse, minimalistic design, and mid-century in your search for the most coveted home designs, but you don’t know what they mean. It’s important to understand the terms and traits of the different interior styles so that you can fully embrace a style, or understand its advantages and limitations when designing your home. Basic with benefits is best. The Scandinavian interior is focused on function and simplicity. That’s why Scandinavian designs consist of clean lines, lots of natural light, uncluttered looks, muted colours with minimal bright accents, natural materials like wood, and cosy textures. If you need a mental reference, think Ikea! Modern designs are often minimalistic, as they too focus on practicality. Other features of modern designs are its openness (e.g. open plan layouts) and heavy use of black and white colours. Modern designs favour good quality materials and simpler designs, and should not be mistaken for contemporary designs which favour current trends. This design references the styles of the 1950s – 1970s. This means bright colours, graphic shapes, abstract furniture, and loud décor. One common style within the retro design umbrella is the mid-century modern aesthetic. You’ll recognise its furniture which combine dark neutral tones like woods and metals with accent colours like pale green or bright orange. These furniture also feature clean lines or curved angles, with skinny, tapered legs. Vintage styles go further back than retro designs with antiques and collectibles. It celebrates distressed surfaces like wall paint and even furniture finish, and keepsakes like old photos or heirlooms. Vintage designs are often ornate, as with a chandelier or an extravagant armchair. Successful vintage designs balance both old, accent items with new, modern basics. When you think industrial design, exposed pipes, bare brick walls, and warehouses comes to mind. This style shows off the building’s construction in a beautiful unfinished manner. You’ll find things like exposed piping, wiring, beams, and bare concrete walls, floors, and counters in an industrial home. As for furniture, materials like stainless steel and metal are preferred. Rustic wooden furniture and architecture are most characteristic of country style homes. Sliding barn doors, open shelving, and farmhouse sinks are this style’s icons. The country style sticks mostly to white and light colours, keeping patterns to a minimal such as floral and chequered designs. The kitchen and dining area are the centre of a country style home, as it boasts a welcoming space with large, rustic tables and interactive kitchen designs, matching the country lifestyle it originates from. This style emphasises rich textures and patterns, and contrary to minimalism, encourages displays of one’s collections or favourite things. Aztec patterns, fringed carpets, and hand-woven table runners are examples of the boho-chic’s aesthetics. More importantly, these items are not bought from a single department store, but collected over the years from travels and experiences. Oh, and let’s not forget the greens – the more, the better. Does your home need a makeover? Get free quotations from Malaysian interior designers.